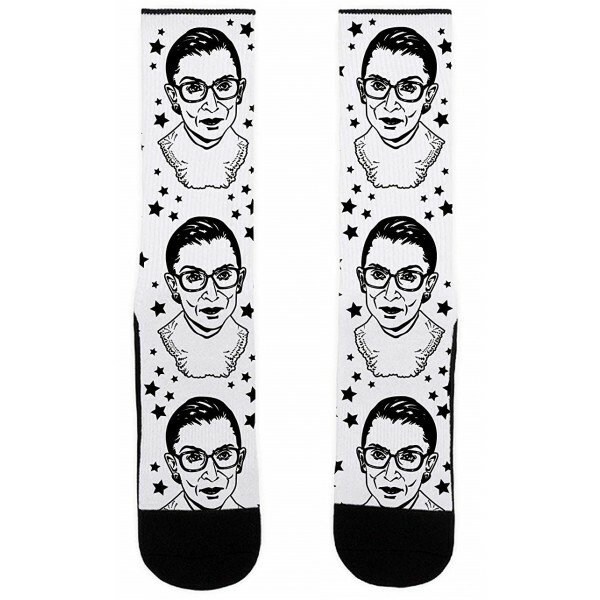 Show your love for the Notorious RGB with this pair Ruth Bader Ginsburg socks from LookHUMAN! 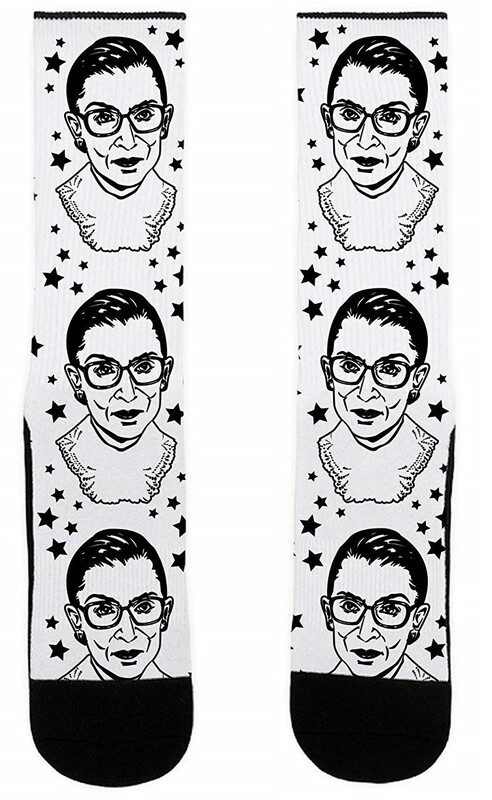 These cute feminist socks feature an all-over print of portraits of the one and only Supreme Court Justice Ruth Bader Ginsburg on a field of stars, with a solid black toe and sole. The 50% cotton, 45% polyester, 5% Spandex fabric wicks moisture and is comfortable and breathable — perfect for days you need to stay on your toes just like Ginsburg does. These socks come in one size which fits most women's shoe sizes 7 to 13.